Covers everything from the magnificent Baroque architecture to the contemporary slow food scene. 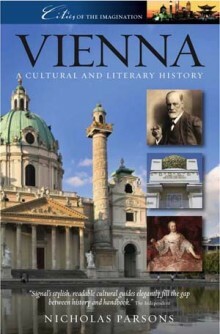 The author has lived in Vienna for many years and has written numerous guides. From border garrison of the Roman Empire to magnificent Baroque seat of the Habsburgs, Vienna’s fortunes swung between survival and expansion. By the late nineteenth century it had become the western capital of the sprawling Austro-Hungarian Monarchy, but the twentieth century saw it degraded to a “hydrocephalus” cut off from its former economic hinterland. After the inglorious Nazi interlude, Vienna escaped from four-power-occupation in 1955 and began the long climb back to the prosperous and cultivated city of 1.7 million inhabitants that it is today.Even as a metropolis, Vienna always retained a sense of intimacy, and sometimes of intellectual and spiritual claustrophobia. This “village” has been a crucible of creativity from the glittering arts and music of Habsburg and noble patronage to the libidinous hothouse of Freud’s fin-de-siècle society, with all its brilliance and ambivalence. Subjected to constant infusions of new blood from the Empire, and now from the former imperial territories and beyond, Vienna has both assimilated and resisted cultural influences from outside, creating its own sui generis culture. DUCAL AND IMPERIAL CITY: Magnet for genius in architecture, the fine arts, music, literature, as well as administration. “Viennese by choice”-a notion that includes Walther von der Vogelweide, Metastasio, Salieri, Gluck, Mozart, Beethoven, Van Swieten, Metternich, Theodor Herzl and Karl Kraus-to name but a few. CITY OF SURVIVORS: A civilization submerged in waves of migrating tribes, a buffer town between the German Emperor’s territories and rival Slavs or Magyars; finally the bulwark of Christianity in resistance to Ottoman expansion over three centuries up to 1683. And in the Cold War, a neutral space for spies and diplomats between competing power blocs. CITY OF PAST AND PRESENT: Loden coats and laptops, progressive politics and reactionary piety, ancient rituals (slow food in the Heurigen and Beisln, Sunday walks in the Wienerwald or Schönbrunn Park) and modern rhythms in lifestyle and work. Nicholas T. Parsons is a writer and translator who has lived in Vienna for many years. He is the author of some sixteen books, including Blue Guides to Vienna and Austria, and Worth the Detour: A History of the Guidebook (2007).